Reiki Classes , Psychic Development Courses, Email Support Pograms, Spiritual Coaching, Tarot Learning Module, & Healing Circles! Spirit Blossoms Psychics now offers Healing for your beloved furbabies. To purchase your animal healing session, please use the drop down menu "Purchase your reading here" in the main menu. Please text our Customer Service at 206-512-3929 to set up the appointment time/date with us. ​We love our animals dearly and have seen the first hand the positive results that Reiki and Energy Healing can have on them. We work with all animals, both in person, and utilizing Distance Healing. Animal Healing differs from work with humans as the animal will walk away from or disconnect from the healing session when they have received what they need. Animals are more tuned into their emotions than humans and far more empathic by nature. Animals can also mirror their human's illnesses to bring it to their awareness or to aids their human's healing. The Energy goes right to the etiology or the source of the pathology or issue. So if you have an animal that has separation anxiety, the incident or imprint that created the anxiety receives the healing energy, and new response is set into place. The healing works with all levels of issues body-mind-spirit, and alleviates and soothes. 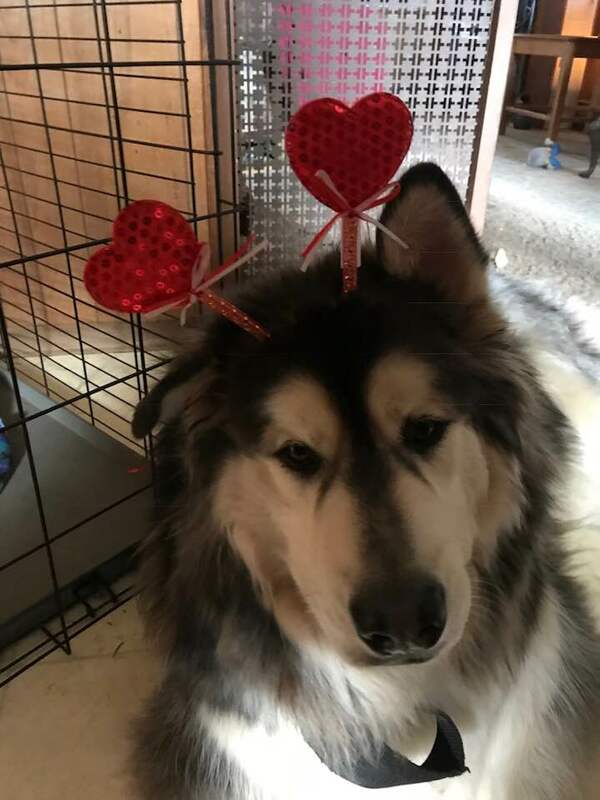 With my own beloved Malamute with a stressed ccl, I do Reiki /healing work everyday, along with dietary shifts, and gentle range-of-motion work. It is the INTENTION to bring healing to my beloved furbaby from a place of unconditional love that has a deep impact. These sessions can be used as much for comfort for an animal with a progressive pathology, and make them comfortable during the last stages of their life. I must add that energy healing is not a substitute for veterinary care and that I prefer to work in conjunction with your animal's medical provider. Questions, please feel free to contact me for more information 1-877-448-6977.